The conversation about religious women serving in the IDF continues; appearances of new videos opposing their recruitment, various statements from rabbis on the topic, claims of religious coercion in the army… the press is abuzz on the subject which remains in the news. And in the middle of it all stand the women themselves, young religious soldiers serving in the IDF. 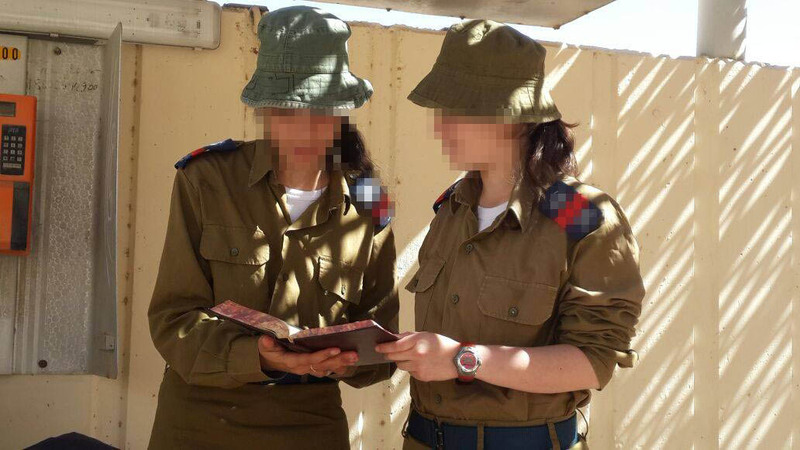 There is one question which concerns the young women, their parents and the rabbis alike – how will they maintain their connection to Judaism while they serve in the military? One of the ways is to encourage daily Torah study through booklets with a daily dose of Torah. The Israeli Rabbinate publishes one such booklet, called “Belechtecha BaDerech – as you walk on the way” and the Shavei Hevron yeshiva publishes another, called “Lechu Lachamu Belachmi – nourish yourself with Torah.” However, these booklets are geared toward men. 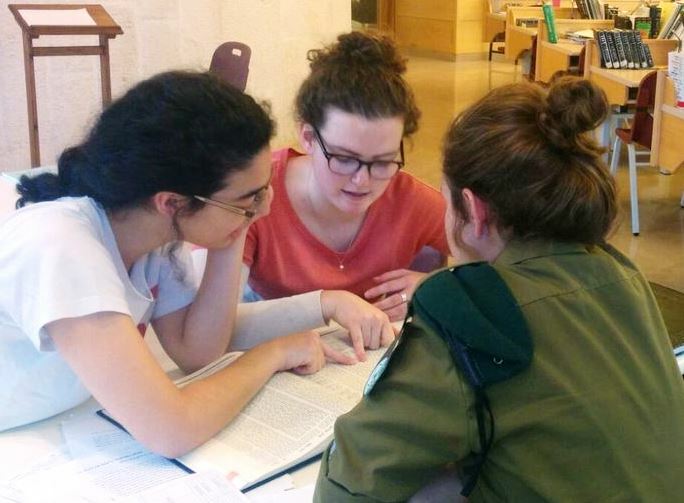 Today’s women have a more innovative answer: an app, developed by a student in the Hadas Program at OTS’s Midreshet Lindenbaum, offers daily Torah learning to young religious women in the IDF. M tried and indeed developed such an app. The content is written by the Midreshet Lindenbaum students, and each year before they are inducted, the content is collected and uploaded to the app; this content constitutes the daily studies once they begin their army service. Every year, the content is renewed as a new class of young women enroll in the Hadas Program at the midrasha. 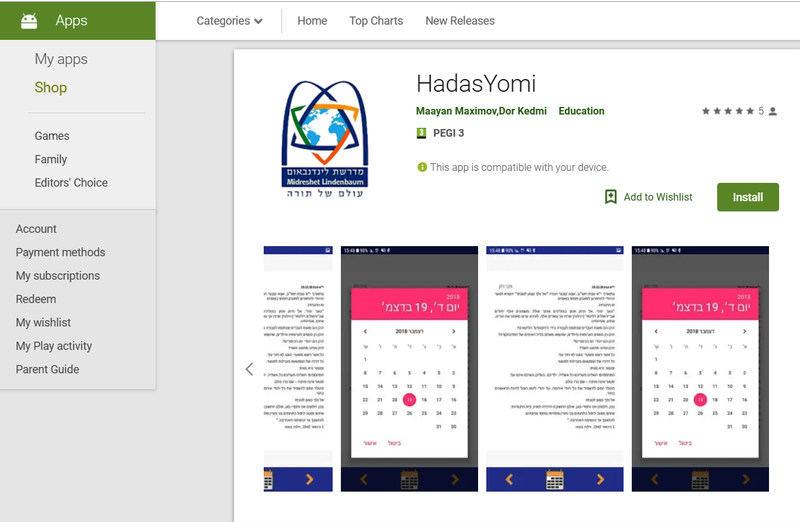 The app is called “Hadas Yomi,” named after the Hadas Program at Midreshet Lindebaum, through which the young women enlist in order to combine their military service with with a broad and profound Torah foundation, connecting between the values of Am Yisrael and Torat Yisrael. It is rooted in this background that the young women encounter Israeli society and contribute significantly to the state, through enlistment or national service. 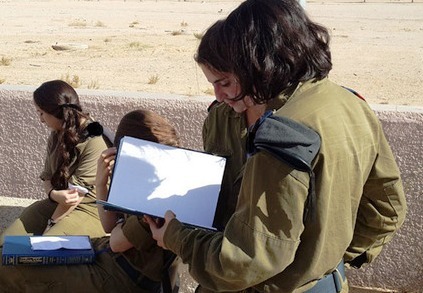 Today, 95% of the young women in the midrasha enlist in the IDF.